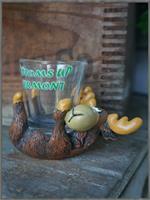 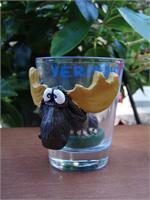 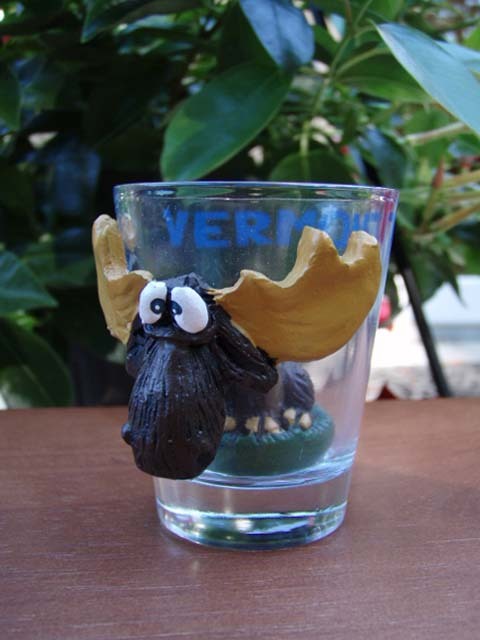 Resin Moose poking his head thru the shot glass with Vermont written across the top. 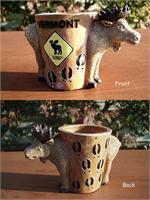 A great gift for a moose collector. 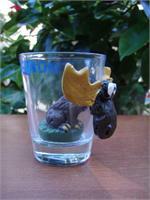 Approximate size 2 1/2" high.